If you are one of the many Washington State drivers that still uses their phone while driving, your time is up. Jan. 23 marks six months since Governor Jay Inslee signed the state’s new distracted driving law, signaling an end to the grace period for Washington drivers caught using electronic devices while driving. Washington State Patrol and law enforcement officers across the state are now issuing tickets to drivers who violate Washington’s distracted driving law — Driving Under the Influence of Electronics (E-DUI) Act. The first E-DUI ticket will cost drivers $136. If the driver gets a second E-DUI ticket within five years, the fine increases to $234. In addition, all information on cell phone infractions is now available to insurance companies. Since the distracted driving law took effect July 23, 2017, WSP has issued 6,475 E-DUI warnings statewide. 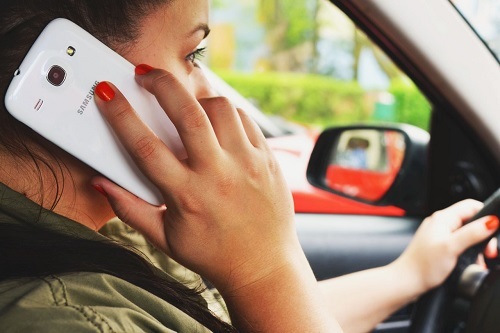 Under the new law – following a nationwide trend to curb distracted driving accidents – drivers may not use cell phones or watch videos while they are driving, stopped in traffic, or at a stop light. This includes tablets, laptops, games, or any electronic devices. The law restricts hands-free use to a single touch. Accident data shows a direct link between cell phone use and fatal crashes. Distracted driving fatalities increased 32 percent from 2014 to 2015 in Washington State, and one out of four crashes involves cell phone use just prior to the crash. Washington State accident attorney Chris Davis will explore whether an act was negligent, which means doing something that unreasonably puts someone else in harm’s way or is responsible for the property of someone else being damaged. A distracted driver's inattention to the road may be negligent. Paying attention to activities other than driving is likely to be a breach of the duty to use reasonable care while driving. People who are injured and families who have lost a loved one because of distracted driving have a right to recover damages using Washington’s comparative negligence doctrine. It allows a judge or jury to establish which percentage of responsibility, if any, can be assigned to the victim. The total recoverable damages are then determined by that percentage number. For example: if a victim is found to be 25 percent at-fault for their own injuries, then the victim is only entitled to recover 75 percent of the total damages. 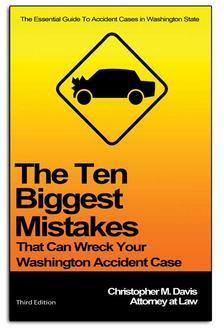 A person who is 30 percent at fault may only claim 70 percent of the damages. A person who was texting at the time of a collision likely will have some responsibility for the accident. Becoming the victim in an injury accident can stretch or break finances, but that does not mean the victim cannot have an attorney. Mr. Davis and the legal team at Davis Law Group, P.S., provide free case evaluations. Call (206) 727-4000, use the form on this page or utilize the chat feature below.